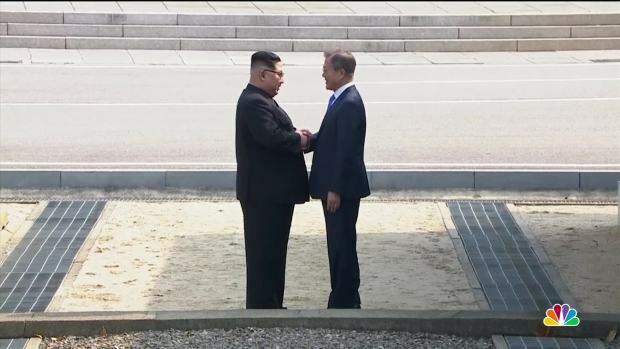 President Donald Trump, left, and North Korean leader Kim Jong Un, right. President Donald Trump laid out a stark choice for North Korea's Kim Jong Un ahead of their planned summit next month: Abandon nuclear weapons and be rewarded with "protections," or risk being overthrown and possible death if the arsenal remains. Trump maintained the scheduled June 12 meeting in Singapore is on track, despite the North's threat Wednesday to cancel over concerns about the U.S. push to see the complete denuclearization of the Korean Peninsula. National Security Adviser John Bolton explicitly cited "the Libya model of 2003-2004" as a basis for the North Korea talks last month, which drew personal rebuke from the North Korean government Wednesday. Trying to address the North Korean concerns, the president said if Kim were to agree to denuclearize, "he'll get protections that would be very strong." But Trump warned that failure to make a deal could have grave consequences for Kim. Mentioning what happened in Libya, Trump said, "That model would take place if we don't make a deal." "The Libyan model isn't the model we have at all. In Libya we decimated that country." Trump added. "There was no deal to keep Gadhafi." 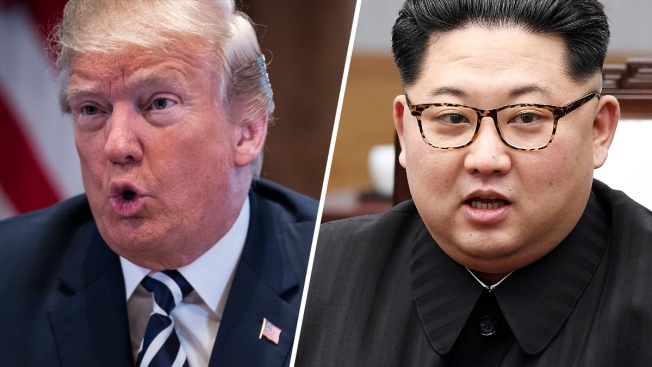 Trump said he is "willing to do a lot" to provide security guarantees to Kim. "The best thing he could do is make a deal." Trump also suggested China was influencing North Korea's thinking regarding the summit, pointing to Kim's visit to China immediately before Secretary of State Mike Pompeo visited Pyongyang last week to finalize the summit date and location. Trump said Thursday that nothing has changed with respect to North Korea after the warning from Pyongyang. He said North Korean officials are discussing logistical details about the meeting with the U.S. "as if nothing happened." Pentagon spokeswoman Dana White said Thursday that the schedule of military exercises hasn't changed. She added the annual exercises are long-planned, defensive in nature and meant to ensure the readiness of U.S. and South Korean forces. Exercise Max Thunder began Monday and concludes May 25. It includes aircraft from across the U.S. military services. Last year's exercise included roughly 1,200 U.S. personnel and about 640 South Koreans. This year's drill is similar.